It took quite some time since, as the carmaker Morgan has participated in important automotive exhibitions. For this reason, the appearance at an auto show in Geneva - their duty. 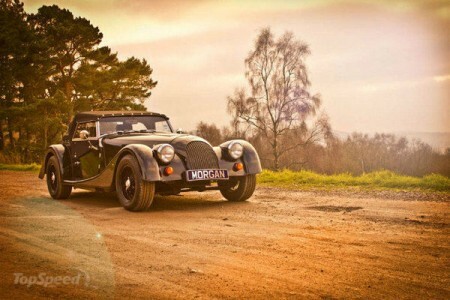 There, the company will introduce three new Morgan model. More recently, it was reported Aero Coupe, and now it was time to get acquainted with the Roadster 3.7. Design of the car goes beyond the normal models Morgan. The car has a folding roof. Shop different leather trim and a very sophisticated instrument panel, which housed a fairly large speedometer and tachometer that are combined with electronic systems, digital displays and other things.